I have to admit, I’ve never held the University of Michigan in high regard. With two of my own kids graduating from Illinois, Michigan always seemed like an adversarial football factory. I attended the classic game on September 23rd, 2000, when both teams were ranked and Illinois got robbed by two late calls, allowing the Michigan to win. T-shirts worn by Illinois students proclaimed “MUCK FICHIGAN” and “ANN ARBOR IS A #####”. Not very nice. Last weekend, I got a brief tour of the University of Michigan. I got to see the new Schembechler Hall. I also got to see the indoor track facility. The new indoor track facility will be incredible. See the amazing pictures below. Is there a better facility anywhere? Friday night, we ate at “Knights”, a terrific steak place on campus. Saturday night, we attended a show at “The Ark”, a pitch-perfect music venue dedicated to folk music since 1965. The first picture I saw entering the building was John Prine. My kind of place. I traveled to Michigan at the invitation of Coach Al Leslie, the track coach of the 2015 State Champions, Saline H.S. Coach Leslie and his fellow sprint coach, Brian Boze, were both influenced by Dan Fichter, when he spoke at the 2014 MITCA Track Clinic. Through Fichter, they learned of Chris Korfist. Last spring, Coach Leslie made two four-hour trips to the basement of Chris Korfist. The first trip included Coach Leslie, Coach Boze, and football coach Joe Palka. The second trip included distance coach Carl Spina. Korfist activated Coach Palka’s son on trip-1 and Coach Leslie’s son on trip-2. I met Al Leslie and Brian Boze at the Track-Football Activation Consortium last December. I’ve been involved with “Be-Activated” since October of 2014. I’ve been activating kids for less than a year. My skills have significantly improved. In addition, I now feel confident in presenting and teaching activation to others. I presented “Be-Activated: A Mind-Blowing Performance Therapy” at the Glazier Track Clinic in January. I taught activation to Coach Brandon Murphy’s sprinters at McKendree College recently. Saturday, I spent four hours with track athletes and the coaches at Saline High School. My presentation included a PowerPoint presentation. After a break, I showed how to do self-activation using an activation stick from Dr. Tom Nelson, activateanddominate.com. I also showed self-activation without a stick. The first person I activated was football coach Joe Palka. Activation #2 was a Saline sprinter who was headed for a meet that afternoon at the Spire Institute. The activation of Saline head football coach Joe Palka. The rest of the morning was spent teaching athletes how to activate each other. I probably activated another six kids and sprint coach Brian Boze. The buy-in was incredible. The performance-enhancing potential of activation seemed apparent to everyone present. The measurable effects of activation were witnessed by everyone. I’m a terrible salesman. Being a self-proclaimed democratic socialist, I have a hard time asking people for their money. I’m not selling activation. I teach activation. Skepticism is welcomed. I can answer questions honestly. If someone asks for the science behind activation, I can honestly answer, “I don’t know”. I encourage students to “focus on the results, not the mechanism.” To anyone who wants to discount the value of belly-breathing, psoas activation, and activated glutes … I just shake my head. Breathing, lifting the knee, and driving the foot to the ground are fundamental to life. The diaphragm, psoas, and glutes are the holy trinity of “zone one” activation. After the morning activities had concluded, Al Leslie, Brian Boze, and Carl Spina took me to lunch at Oscar’s Sports & Grill. We talked for two hours. I had the opportunity to teach at Franklin H.S. in Tennessee. My first year was the final year of the old building. My second year was the first year of the new building. Franklin H.S. was the most spectacular high school I had ever seen, until I saw Saline. Something about the 200 meter central hallway with 30 meter ceilings blew me away immediately. The pool was incredible. The two turf football fields aren’t bad. The 200 meter indoor track at the middle school is a nice touch. Just as Franklin is the gem of the Nashville area, Saline is the gem of Ann Arbor. Like Franklin, Saline is white-collar and homes are expensive. Saline H.S. has 1800 students. The new school was built just over ten years ago. Of course, I wanted to know everything about the football and track programs at Saline. Al Leslie told me that Joe Palka is the best football coach in Michigan. In addition, Al told me that Coach Palka is also a highly respected administrator. Palka came from Ohio powerhouse Whitmer High School, which speaks of the magnetism of Saline. In 2014, under Palka, Saline was Division-1 Runner-Up. Last season, Saline was ranked #1 in Michigan and #15 nationally by USA Today. Saline got upset in the quarterfinals. If Joe Palka is arguably the best football coach in Michigan, there is no argument over Al Leslie as a track coach. Last year, Leslie’s boys won the Michigan State Championship. Saline also won it in 2006. Coach Boze front left, Coach Leslie holding the trophy, Coach Spina at far right. Click to enlarge. Boy’s cross country coach Carl Spina also serves as Saline’s distance coach. Saline has won the gold medal in the 4×8 three consecutive years, breaking the state record in each of the last two seasons. Last year’s 7:38.97 ranked #3 in the nation. I told Carl he needs to get connected with my friend, Sandburg Coach John O’Malley. Last year, Sandburg ran the 4×8 in 7:42.03 with six underclassmen. In addition, Sandburg had 10 runners sub-4:30 in the 1600, and 11 runners sub-10:00 in the 3200. Al Leslie’s son, Spencer Leslie, ran 2:00.7 as a sophomore and couldn’t make Saline’s 4×8 team. Head girls coach Brian Boze also serves as the boys and girls sprint coach. Coach Boze has worked with Coach Leslie for twenty years. Coach Leslie calls Brian Boze the brains behind their program. Boze held the 200 meter record for Saline H.S. for many years (21.7) and later lettered in track for the University of Michigan. Strangely, Michigan is a coed track state. The Saline track coaching staff share the boys and girls. This is not an easy job. Saline had nearly 300 boys and girls on last years track team. Seven positions are paid, and paid well. Saline’s track team raises money to pay seven additional coaches (between $1000 and $4000 each). Two other Hall of Fame coaches serve as track assistants. Coach Mike Smith has coached the girls distance crew for 40 years. Hall of Famer Tom Micallef of Ypsilanti High School retired and joined the Saline staff. Besides the incredible 4×8 team (7:38.97), the 2015 team featured a pretty good miler. Logan Wetzel is now running at Villanova. Wetzel ran 1:52 and 4:04 last year for Saline. You can’t win state track meets with just distance kids, 14 of the 18 events are sprints, jumps, and throws. Sprinter Skyler Bowden is now running at Alabama. Bowden ran 21.29 and 47.66 last year for Saline. Sounds like a state championship team to me! If you’ve ever read my stuff, you understand my mission of connecting football and track programs. Guess what? Saline has it figured out. Coach Palka’s son ran track. Coach Leslie is the varsity offensive line coach for Joe Palka. Coach Leslie has coached football at Saline for 23 years. As I’ve said often, track must infiltrate football and football must infiltrate track. In addition, track & football must make deals and compromises for the benefit of kids. Coach Palka’s football players lift two or three times a week from 2:30 until 3:00 while the track team has a meeting. Coach Leslie would like to see the strength program evolve into a speed-based system, like the Triphasic Training of Cal Dietz and Chris Korfist. Saline may seem perfect. One of the questions I love to ask coaches … “What are the things that drive you nuts?”. Coach Leslie points to the 300 kids and 600 parents he must deal with every year. Can you imagine? Spring is already full of distractions. No football coach could deal with what a track coach deals with every spring. Seniors now believe their high school career is seven semesters in length. After seven semesters, seniors are signed up for college. Seniors graduate a couple weeks before the final day of school (why?). Plainfield North encourages seniors to take only five classes so they can be gone from school at 1:15. My practice starts at 2:25. Al Leslie’s 300 athletes provide him with three times more headaches than my team of 100. The rules and regulations are also a headache. With 14 track coaches, state certification is a pain. Then comes the fund raising events to pay for his staff. On top of that, to get a get someone paid from his activity account requires jumping through multiple hoops. Like all track programs, Saline must deal with the curse of entrepreneurial organizations outside of the school who promise athletic scholarships in return for thousands of dollars. These outisiders convince the athlete and the athlete’s parents that the only way to get a scholarship is to “outwork everyone else”. Let me decipher the code. The only way you are going to get a college scholarship is to sign up with me, pay me thousands, and do work on top of work on top of work. This is flat-out untrue. If you are training with your track team and training in your off-time, you are over-training. Over-training overloads the central nervous system and overloads the muscles and tendons. Without required rest and recovery, growth is stymied. No horse would ever be trained, independently, by two trainers. If so, expect regression and injury. Saline, being an affluent area, has problems with outsiders. To complicate matters, Michigan high school track & field officially begins in mid-March. This forces track athletes to the outsiders. AAU and club coaches in Michigan recruit the best high school athletes and take their all-star teams all over the country. These coaches, not being associated with schools, make indoor track the priority of the athlete without interest in the outdoor season. 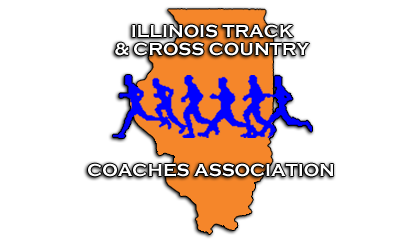 In Illinois, the priority of our 20-week season is the State Championship at the end of May. Saline is a Freelap school. Coach Leslie and Coach Boze have adopted data-driven speed training. They’ve visited the Korfist basement. They’ve purchased two Exxentric kBox machines. They are considering attending Douglas Heel sessions at the University of Minnesota in June. I have influenced their thinking, and they have influenced mine. Can’t wait to go back to Ann Arbor. Go Blue! Many coaches believe in a type of sport xenophobia, so it is great to see a positive article about a program from a different state on this website. Interesting enough, Michigan has a 7-class track and field system, as the Upper Peninsula has their own “state” championships with 3 divisions. From a pure spectator point of view, I think the one-class system in Indiana is the best State Meet east of the Mississippi. But, the Michigan system is a very friendly state system toward athletes, coaches, school budgets and small schools. For example, Munising in 2014-15 was state runner-ups in 11-man football and won their state track meet by 85 points with the same athletes. There is a ton of enthusiasm about track and field in Munising, something you just don’t find in small towns in Indiana. I know traditional naysayers hate class systems, but obviously, allowing Munising to have their “day in sun” is not holding back a juggernaut program like Saline from becoming a national powerhouse. I had to look up xenophobia. Loved my visit to Saline, Michigan. I also love my connections with coaches in Wisconsin and Indiana. I hope to visit other states in the future. My favorite state meet is Illinois. I love the two-day event. I love hanging out with coaches on Thursday AND Friday night. I liked two classes better than three, but we learn to adjust.